It might be that your events company is the kind that will require storage. This is particularly the case for companies that offer event catering or bar services, and those that have their own products such as props and decorations for themed events. There are many things to consider when choosing storage, and you want to make sure you get it right. There are different possibilities when it comes to storage. For example you could go from a lock up round the corner which could be something as simple as a garage for hire, to proper storage facilities with security and lighting. It may also be that you need a lot of space, so options like containers for hire might be more suitable. To find the right storage solution you’ll need to look in your local Yellow Pages, or perhaps browse on the internet. Storage companies will advertise but you’ll need to find a local listings publication or look in the classified ads of the local paper if you’re looking for something low key, such as a garage to hire. 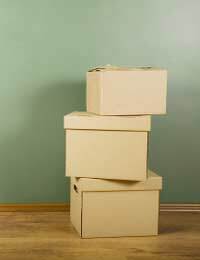 Think firstly about where you need to have your storage facility to be and consider how often you’ll need to get to it. Some offices come with storage facilities as part of the deal and that might be ideal if you don’t need lots of space. If you’re a company that will need to keep a lot of equipment stored you’re clearly going to need more room. Perhaps you have lighting or sound equipment, stage production structures or even a large amount of event props which you hire out to other companies. Whatever your needs, think about how you’ll get to your storage each time you have to use it, and consider how easy or not it will be depending on location. Look of course at the size you’ll need, but not just for the stock you hold now. Assuming all things go well, you may be expanding and require more space. Another thing to consider is the possibility of sharing space. Two small storage spaces will definitely be more expensive than one large one. Maybe find someone you can split the cost with. Think about how easy it is to get to your storage during all hours. One thing about events can be late nights and very early mornings. If you choose a lock up in a busy residential area, are you going to be unpopular loading stage blocks back in at 5am? Can you even get in there at that time? Suitability In Terms Of Damp etc. Think about what you’re storing and beware of damp! It’s a common destructive force when it comes to all kinds of event equipment. Especially props perhaps made of wood, or painted. Lighting and sound equipment of course needs to be kept dry too, so check the storage for this. A massive container tucked in a field away from neighbours and easy to access might seem like a great idea but is it secure? How easy might it be for someone to drive up there with a van, break in and take all your stuff without being seen once? Also, if you’re in a lock up round the corner, how many people have seen you coming and going with your equipment and planned a quick and easy break in. Think about what you have stored and how to protect it and of course make sure your insurance covers it.